We are pleased to announce that Nighthawk has released iHydrant™, a unique remote pressure and temperature monitoring solution for water utilities. The iHydrant system is unique because it does not interfere with the normal operation of a hydrant and does not require any digging or tapping a pipe. iHydrant monitors can be used year-round in any climate, allowing utilities to optimize system pressure, decrease energy use and reduce leaks. Nighthawk’s customer installed base has used millions of pressure data points installed over the past 1.5 years, and we are pleased to report that thousands of alarms at these utilities have reduced non-revenue water loss. Utilities have been notified immediately of main breaks during the night, catch hydrant water theft, and identify contractor breakage. "The alert came in about half an hour before anyone called it in… Definitely proves the worth of the product." The iHydrant system provides interval pressure and temperature data as well as configurable alerts for high/low pressure and transient events. Alert data is uploaded in real-time, providing utilities with actionable data in the case of main breaks and proactive information to help utilities identify abnormalities and calm their system. iHydrant data is transmitted over a secure cellular VPN network utilizing the latest LTE technology. 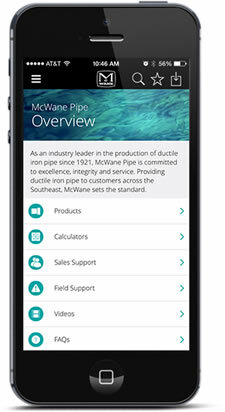 Data is accessible by phone, tablet or computer in an easy to use graphical interface providing real time system temperature and pressure visibility. Since there are no collectors to install and no software to install, there are no additional IT resources or infrastructure costs to deploy the iHydrant system.